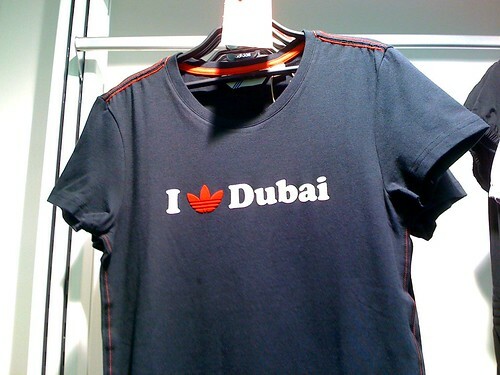 UAE people heart this shirt right now. Good job, Adidas! I almost got one. I realized that I don’t want so many team mates for a shirt. Only then and there I’m reminded of the stuff that I got from Kulturang Pilipino store before I left Manila. Even if there are no photos, seeing the ‘menu’, err prints on this shirt bridges my homesickness for Filipino nibbles back home. (Back print) Tuyo, taho, bagoong, pinakbet, ginataan, puto bumbong: I learned to appreciate more since I came here. Sometimes a person needs to be distant to get a clearer picture of how rich is her country’s culture. 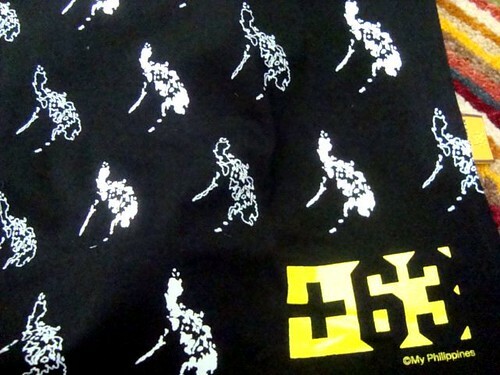 I also got this charming black shirt with print of Philippine map and of its country code. I’m wearing this soon. This may sound strange to you, but I feel prouder when I use very Pinoy stuff while I’m here. I spend most of my money at KP last December…for Christmas Gifts. gaganda naman kasi ng items nila. Pati yung pambalot ng cookies ko sa KP ko rin nabili. Naging creative tulot and dating hehehe! Cute shirt! the shirt with the menu makes make hungry!!! I agree, when we live outside our own country, that’s the time we realize how good we had it back there. Where did you say you got that shirt again? Mahanap nga… I love it… Di kaya ako gutumin ng sobra sobra pag ginamit ko yan? hahaha. cute shirt! i like it. mapasyalan nga ang kulturang pilipino mamaya. blue roses last blog post..gratitude monday! 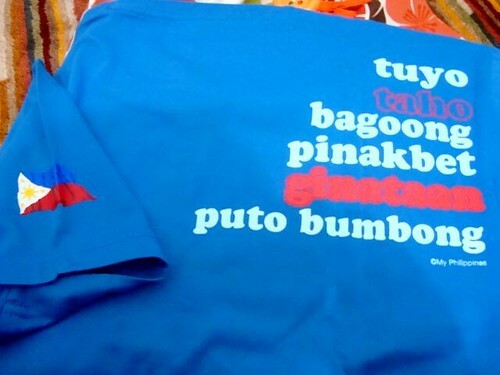 Team Manila and Kulturang Pilipino shirts are great. Loving your country without losing out on style! i love the shirts and the salakot coz i love wearing something with a “statement”, lalo na when it’s something about being pinoy. it makes you proud to show it to the rest of the world. I want that black t-shirt. Where is “Kulturang Pinoy” located? I’m going home this April. Hey, I’m gonna get the “menu” shirt at Kultura Pilipino! That will be an excellent gift for my friend who’s going abroad. Missing the Philippines so much!!! Very nice finds! 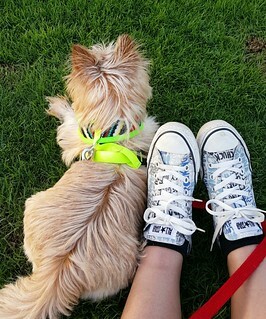 I love Adidas. I just hope they’ll do an “I heart Manila”. I like the blue shirt too with all the Pinoy dishes. You’re like a walking menu for a fancy carinderia! Aylabit. nice shirts jo, i love it! 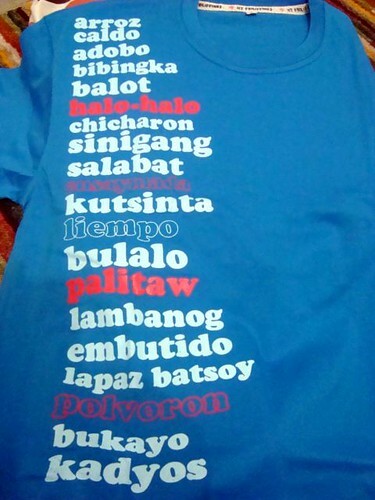 i plan to buy lots of pinoy-made shirts in the phils when i visit again (kailan kaya???). and the adidas shirt, i almost bought one when i was there last year, i just don’t know why i didn’t. 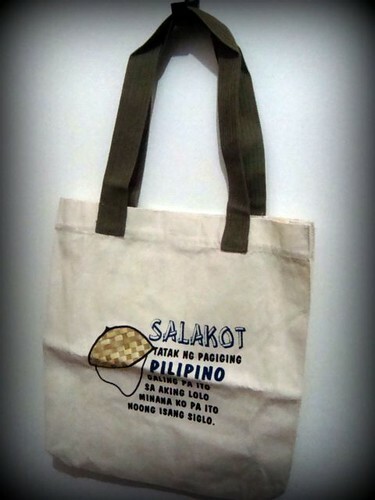 i love the salakot bag caption.and the shirt, mapapalunok ka ‘pag nakita’t nabasa mo. i think i first saw that sa houseonahill. I loved it kaso di pala kasya sakin, so I gave it to my brother na lang.